Our 12th year of Table Hockey with the Anaheim Ducks! Before every Saturday and Sunday Anaheim Ducks home game this season, play table hockey during the two-hours before game time. For 12 seasons, at the invitation of the National Hockey League's Anaheim Ducks, our table hockey club will have STIGA table hockey games available to play during the two hours before game time prior to every weekend Anaheim Ducks game at Honda Center! Come out and join the table hockey fun before Saturday and Sunday home games! 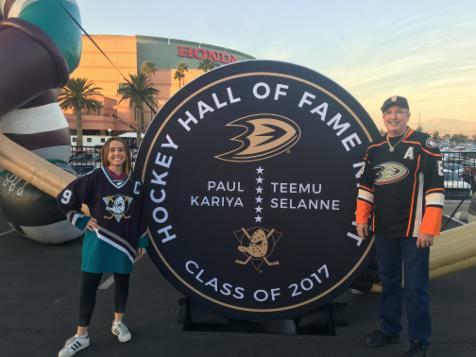 The Anaheim Ducks Hockey Spot is located in front of Honda Center, in the parking lot closest to Katella Avenue.